Hi all. I have a blocked a/c drain on my 06 Type-S which is causing water to leak onto the passenger floor. I have read so many posts on this common a/c issue - but nothing specific to G4. My problem is that I just can't seem to find where the drain exits under the car. Could someone please post a photo or good description. ..or even let me know roughly where the water drips from under your G4 the next time you drive around on a hot day! 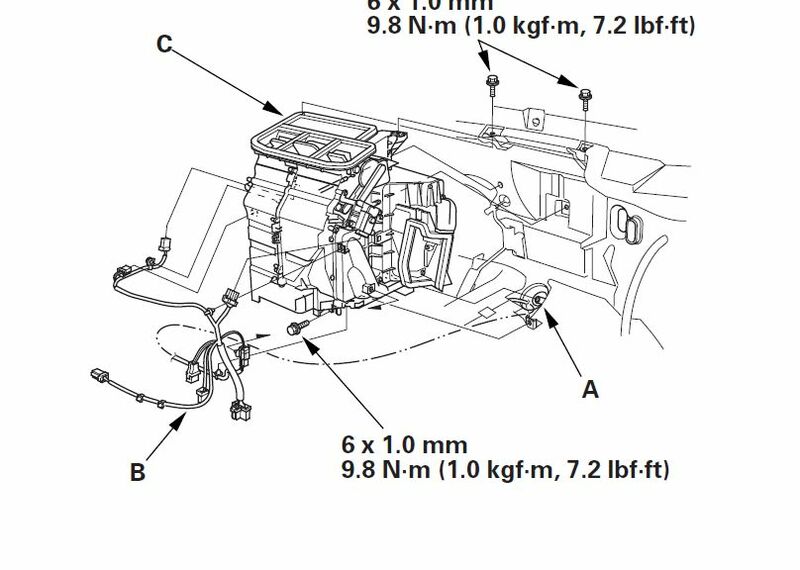 According to the factory service manual, the drain hose is located where the fire wall meets the passenger side of the shifter hump. The drain hose is (A) in the illustration. Note the gas pedal in the illustration for reference. After reviewing the service manual and lots of pictures of the evap unit I see that the drain enters the firewall pretty much exactly in the middle of the car. I put my DC5 on stands and went in to find where it exits in the engine bay. The place it exits is recessed and impossible to see (or access) from either side of the car. A 6"tube is attached which angles towards the drivers side (in Australian version anyway...). 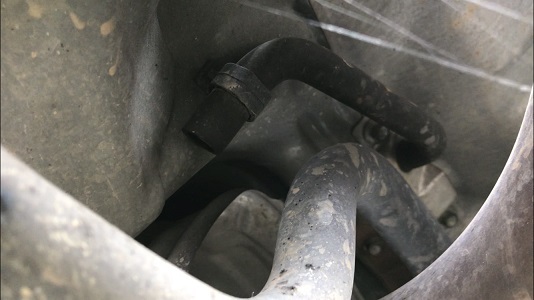 The pipe is very flexible and, once removed from the clip securing the end, can be straightened so you can shove something up there to clear any blockage. I used a medium cable-tie which worked very well. Picture of the drain hose attached.